Radio Pakistan was probably one of the first institutions which came into existence simultaneously with the formation of Pakistan. A part of All India Radio (AIR) before independence, the organization was separated into the Pakistan Broadcasting Service, later called Radio Pakistan, once the subcontinent got divided. The independence of Pakistan was announced through Radio Pakistan on Aug 13, 1947 at 11:59 pm in Urdu, followed by a similar announcement in English. The role of Radio Pakistan in terms of promoting the cultural heritage of Pakistan is very well documented as composers, singers, artists, song writers, and poets who dominated Pakistan’s cultural stage initiated their careers from Radio Pakistan. With just three radio stations at the start, the entity now owns thirty-four FM radio stations along with a plethora of AM stations operating in the rural areas of Pakistan. Murtaza Solangi, former Director General of Radio Pakistan over-saw a lot of these expansion projects and brought about a shift in paradigm under his tenure. 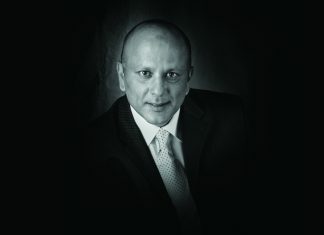 A journalist since two decades, he started his professional career in 1991 with the launch of The News. Before that, he wrote for The Herald, Frontier Post and a number of other newspapers in a freelance capacity. Later on, he pursued a degree in radio broadcasting from the USA, and furthered his career with the Voice of America’s radio, TV and online media networks till June 2008, when he planned to return to Pakistan to head the prestigious Radio Pakistan Network. “The main focus under my tenure at Radio Pakistan was changing the programming paradigm, mainly in terms of current affairs programming and reinventing community broadcast. In the five years that I was in charge, twenty two FM stations were launched throughout the country as community channels; FM 93 from Skardu all the way to Karachi and Mitthi. Hence, across the country a new network of FM stations was launched which were mainly broadcasting programs that were community drivers. The programs targeted audiences in women, children, soldiers, peasants, and were diverse socially and culturally. We also invested in setting up AM transmitters for rural areas as the ones before were old and damaged. Despite non-availability of funds we were able to plan and start installation of new AM transmitters in Hyderabad, Larkana, and Turbat. With the help of USAID, two powerful AM transmitters (400 Kilowatt transmitter in Peshawar and 100 Kilowatt transmitter in Dera Ismail Khan) were planned for and installed. Both came on the air before I left office. Also, another 500 KW transmitter was being planned, with the agreement signed and tenders floated before my tenure at Radio Pakistan ws over. As a national broadcaster, we couldn’t leave the rural areas without information. At the same time to facilitate the youth of the nation, we launched an English channel for the first time; Planet FM 94. We started in Islamabad then Lahore and were planning to expand it to other cities. FM 101, which used to be a part of a private media group, was made a part of Pakistan Broadcasting Corporation (PBC) and its programming was improved through youth specific content. Radio Pakistan did have current affairs programs but never had a dedicated current affairs channel. So two months after I took over, in August 2008, the first dedicated Current Affairs channel of Radio Pakistan called National Broadcasting Service (NBS) was launched by Sherry Rehman, the then Information Minister of Pakistan. In February 2009, it was made mandatory for all local stations to create 70% of their programming content in local languages of that particular area. In terms of news we changed our mission statement and news content to include news about opposition, human rights, women, minorities, and NGOs. In addition to changes in programming content and audiences, we also added three foreign languages in our international broadcasting portfolio, we were broadcasting in seven foreign languages before, but in my tenure, we added South Asian languages like Tamil and Nepalese,” emphasized Solangi. Besides a shift in programming, Solangi also led technical innovations in the organization. 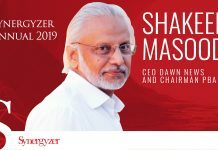 He was responsible for heralding in the new age of radio in Pakistan based on his work experience in the USA and change the perception of the state owned organization to a modern and more open one. “Before I took over, Radio Pakistan didn’t have a presentable website, so we became the first Pakistani government entity to develop a bilingual website catering to online radio listeners and news enthusiasts. Moreover Radio Pakistan programming was made available on the web, as for the first time we started streaming all the major channels of Radio Pakistan via internet across the globe. In terms of technical innovation, we relied mainly on analogue tapes, as there was no IT brought into the process of recording and archiving. I got the organization to record and produce digital data. We started using ‘file transfer protocol’ creating an online bank where stations would send their programs through a dedicated loop across the country. We also launched the first station satellite up-linking system of Radio Pakistan to enable us to transmit music and audio from the field straight to the broadcasting house. I got the feedback system upgraded so that listeners would not just send traditional letters and postcards to the station, but were also able to communicate through SMS messages in real time as well as email, Facebook and Twitter. We also got international listeners involved through Skype. Radio Pakistan’s YouTube channels were also launched under my tenure; one for archives and the other for day to day events – Radio Pakistan Online and Radio Pakistan Live, respectively. I think we uploaded around 300 plus exclusive archives on our YouTube channel including music, interviews and speeches, and the last time I checked there were over 1 million viewers on the archive channel. I also made changes to the programming to be more inclusive of the youth, along with making live streaming available on the web and through tune in applications, which gave us tremendous feedback from across the globe,” he added. “Although the Pakistan Broadcasting Academy has been there for quite a long time, the problem was that it did not offer training in IT and advanced radio broadcasting tools as people associated with the academy and Radio Pakistan were not familiar with these, so there was a great need to bring training in content, policy and new technology. For that we utilized the services of some major international broadcasting delegations, such as, Asia Broadcasting Unit (ABU), AIBD (Asia Pacific Institute for Broadcasting Development), CBA (Commonwealth Broadcasting Association), Voice of America and other such organizations and conducted major training programs involving Radio Pakistan Staff from across the country. Our broadcasters and engineers were sent for fellowships to Malaysia, Japan, and Germany for training programs. We collaborated with a number of social initiatives focusing on women to increase awareness about social plights, which resulted in increased listenership,” said Murtaza Solangi elaborating on Radio Pakistan’s stance on equipping its employees with the latest skill sets to enable them to excel in their field and as a result take the institution forward. “I think radio as a medium will live forever, because of its portability; a medium that is more of a companion medium, not an obstructing medium. When you are watching TV you can only watch television, you can barely even have your food because you are glued to the screen. Radio is a medium that stays in the background and does not interfere with daily chores and is extremely portable, so it has a great future. I also think that no matter how developed we become as a nation there will always be a need for public broadcasting because it has its own value and can survive on small investments even,” said Murtaza Solangi to end our little session with him.